Why it is Okay to Blow Your Own Trumpet! Are you self-effacing, down to earth and humble? Or do you shout from the rooftops about how great and wonderful you are? Gandhi was a very humble man, but he was a very powerful man indeed! Though there is no one right or wrong way about how one should put themselves across, I have often wondered what makes some people more powerful and effective in getting their message out to the world. The dilemma I have faced for a while is if I have a powerful message for the world, how will anyone know about it if I remain shy and coy about sharing what I offer? Conversely, will anyone really want to listen to me if I brag about my ideas, achievements and successes? I am now at the point in my life that having done much personal development work on myself and lots of introspection, I am building up my profile in the online world and gradually interacting more and more via social media. My intention is to have a solid, grounded presence with a clear message about who I am and what I stand for. I have learnt that it is indeed okay to blow my own trumpet in the nicest possible way. For me the most important key is for you get clear about who you are, what you stand for and what your message is to the world. Do whatever works for you to get more clarity and direction – such as working with a coach, reading relevant books and blogs around your areas of interest, attending appropriate seminars, meditating, walking and so on. Anything really that helps you gain greater self-awareness and clarity. At the same time, your life journey is evolving and as you grow, your message will change too. So rather than waiting for the right time to blow your trumpet, get started today in some way. If you are good at something, then don’t hesitate to tell the world. This is especially so when what you have to offer can make a big difference to the world. I get my daily inspiration to let me my light shine from the famous words from Marianne Williamson (often incorrectly attributed to Mr Nelson Mandela) – check out here why it is time for you as well to let your light shine. To paraphrase Marianne’s words, remember that you are powerful beyond measure and who are you not to be brilliant, gorgeous, talented and fabulous? And as you blow your own trumpet and let your light shine, you unconsciously give other people permission to do the same, and as you are liberated from your fears, your presence automatically liberates others. A few years ago after a life changing event, I was at the lowest ebb in my life and very low on confidence, direction and enthusiasm for life. A friend who is also a coach, Aboodi Shabi, then made a huge contribution to me with these three words – “you are enough”. “I am enough” then became my mantra or affirmation for many weeks and it worked miracles in my life. Wherever you are in your life right now, know that you too are enough. You are ready to blow your trumpet in the world just as you are now. There is no need for you to attend another personal development seminar, master another skill, finish that long overdue project etc. You are perfect where you are – just start blowing your trumpet. I have learnt that everyone has something valuable to offer and by sharing with others, you actually get to improve their life and the world in general. So from today onwards, know and believe that whatever you can offer is of value and is worthy to be shared with a wider audience. Look for ways of adding value to others and you will already be blowing your trumpet in your own way. Though my friends may now find it hard to believe, I used to be painfully shy at one time. It is only through forcing me to interact with other people face to face that I overcame my shyness. I have now delivered many public talks but a few years ago I didn’t even have the courage to stand in front of a small crowd. I overcame my fear by forcing myself to be a “microphone runner” for the UK’s leading lifecoach Fiona Harrold, whereby I got to stand in front of a couple of hundred people and then whiz around the room with the microphone anytime someone had a question. Fiona was very kind with her support and helped me greatly on my path to public speaking. Over the last few weeks, I have realised that I really do enjoy writing and am inspired to share my thoughts and ideas much more with the world. I intend to do so by building up my blog and getting more people to read what I have to say. Writing is my preferred way – you may be more attracted to videos, public speaking, seminars, teleclasses, webinars etc. Find what suits you best. Of course you are not just restricted to one option – experiment and find what works best for you. In time, I see myself using quite a mixture of the above options to help people make it happen. And you can too. Though I am now becoming more pro-active in getting my work out there, I believe that in the past I have been held back by being unduly self-effacing and humble due to my Indian heritage. We were brought up in my family to play ourselves down and I hesitate to say it, but we were almost encumbered with playing small – it was just not the done thing for us to be out there “making waves in the world”. So be aware of what cultural or family values may be preventing you from blowing your own trumpet. And then work around them – you will find that your family and your community will actually be quite proud of you. At the same time, appreciate that there is great power in humility. 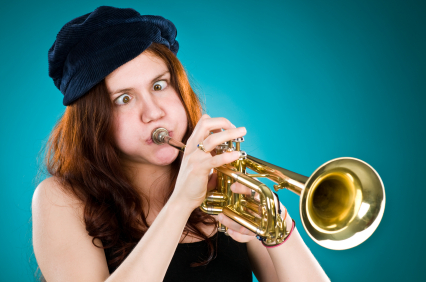 Blowing your trumpet doesn’t mean having to be extrovert, brash, in your face and out there. Gandhi was a very humble, down to earth, ordinary human-being but therein lay his power and authority. His power came from being very clear about who he was, his values and his mission. So the clearer you are about who you are and what you stand for, more power you will exert in the world, whilst remaining humble and as down to earth as you wish. Of course, by power what I mean here is not the power that corrupts but one that changes the world and makes a positive contribution. Sometimes other people may try to hold you back or cast dispersions on your work or message. Just know that this is their stuff and not yours. It is okay to sound out your ideas and get balanced feedback but ultimately you have to believe in what you have to offer, so do not let others hold you back. Other people can either be raised up by your vision or left behind. I remember a few years back when I announced plans for a project to help with the Tsunami disaster in South East Asia. I was all fired up and ready to create a fundraising event until I shared my idea with a friend. She immediately voiced reasons why it would not work and why I shouldn’t even bother. I felt deflated and eventually lost all energy around the project, which subsequently never happened. Her negative feedback wasn’t the main reason for it not happening, but it certainly didn’t help at the time. Since then I have learnt to share my ideas and projects only with supportive friends and colleagues whose balanced input I value and respect. So be careful with whom you choose to share your plans about spreading your message and blowing your trumpet. There you are – I have enjoyed sharing my plans for the future and for blowing my trumpet. It is okay for you to blow your own trumpet too – after all, if you don’t, who will? There is no room anymore for false modesty! What I would like to know now is what will you be doing to blow your trumpet? And most importantly, what is your message for the world? 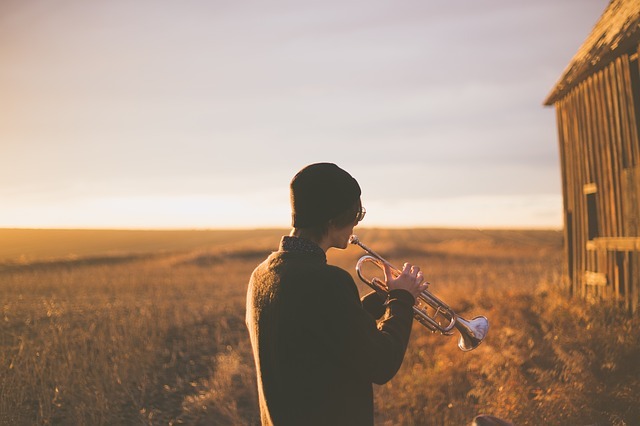 My latest blog – Why it is OKAY to blow your own trumpet – https://tinyurl.com/blowyourowntrumpet1 Enjoy and retweet please! This is such a terrific post that it’s hard for me to know where to start. The intro.laid out the dilemma very well, and 9 lessons/tips were all important. I particularly liked the way you interwove your own story as you discussed them. Like you, many of us are experts on #7. Cultural norms about gender and age or both, for example, can hold us back if we let them. You are so right to suggest that we find ways to work around such norms. A really fine job! Thanks Madeleine for your generous feedback. I must say I really enjoyed writing this post and I guess it shows in the final result. I am finding that by interweaving my own personal anecdotes it makes the post more alive, real and relevant to readers. Good luck with continuing to blow your own trumpet despite any gender and age stereotyping that so often holds people back. Arvind, good job. I really like the message of “You are enough” and I would even add “… and you have all you need to fly”. Especially good that you balanced the need to blow your own trumpet while at the same time stay open for humility and learning something new. Yes, good to be humble but not to the point of being so self-depracting that others take you for granted. It’s important to be clear about your aspirations. Not your goals, but your aspirations. Ask: how do I want to serve the world? The answer is definitely not something to trumpet about. But it will give your endeavors power. Thanks Mary for your feedback – and for making the important distinction between your goals and aspirations. We all aspire to serve the world and the exciting challenge is to work our for ourselves just how we ar going to do that – and do so with humility and respect for the world. There’s actually a book on this called Brag that I’ve been wanting to read, which claims to teach you how to blow your own trumpet without coming across as obnoxious. I love the point about clarifying your message first. I think that alone could make a huge difference. And yes, it really is key to clarify your message first. Arvind, I love the idea that humility and blowing your trumpet are not mutually exclusive. And that Ghandi was a good exemplar of this. Oh, that last gave me a belly laugh 🙂 –though in a way, I think he did actually ‘dress for success’! Yes Kye, his dress sense was all part of his image and his master plan to make India independent! Humility is amazingly powerful … but it’s all about finding a balance between being humble and being proud of who you are and what you’ve done. I think a lot of people engage in false humility because they think it’s the only acceptable thing to do … we’ve taught ourselves to bury the pride of achievement – and for what? Great post, Arvind. I think we all need to stop being so shy about what we have to offer and blow that trumpet just a little louder. Karlil, there is a fine line between being too humble and bragging. It is okay to share with your friends your achievements but not to be obnoxius! Thanks Krishna, coming from an Indian background like me, you will be fully aware of our cultural restraints! Before blowing your own trumpet, getting grounded is the key thing – and possibly the hardest thing we can do. All the best to you too on your journey. Well said, Arvind. And to think I’ve known you now for 20 years. How far we have come! This post was perfect for me today. Since the beginning of this year, I’ve been thinking about “where have the Sundays gone?” and I wrote a blog post about it in January. With a constantly changing schedule and many unknowns, it felt like it was hard to pin down time when enough was enough and I could take a break. So, this past weekend, I decided to make Tuesdays my day off (for the time being so long as it makes sense from an overall perspective)…and your comment above re: “YOU ARE ENOUGH” is perfect and defines what this day means for me. Of course, there are things I want to do and will do today, but whatever I do will be enough. I am enough right at this moment. So at the day’s end I can feel good instead of feeling like I didn’t get x, y, or z done. Just to give ourselves that kind of space is so important. All of your points above are good ones, but that one in particular resonated with me today. Yoy have certainly come a long way – and you have achieved so much to blow your trumpet about! I have always known you as someone who tries to get a lot cramped into each day and I guess that has not changed despite your new status of wife and mother. Arvind, great topic and also a challenging one for us Anglo-Saxons. Tania, I thought coming from down under (New Zealand), you would be less shy about blowing your own trumpet! Great suggestion to be clear about your intention behind what you say. I only met you two days ago and already I can see why. Thank you for this marvellous post. If I could explain to you how much I needed this you will not believe me. It has been a very tough year and I have used every means at my disposal to get back up onto my feet. I have come to realise there are just some things a person is not meant to do and other paths one is meant to take. If you take the right path not for money, self gain or the inflation of ones ego, then, believe me, your actions are rewarded in many other ways. I can really see it now, and every day. Thank You! I wish you happiness, joy and laughter every day. It was a real pleasure to meet you! It is always amazing how such chance meetings can lead to friendship, shared wisdom and happy times. Wishing you too all happiness, joy and laughter – and see you again at the gym soon. Arvind, thank you for this post! I have been plagued with shyness most of my life as well, and am only recently learning how to open up truthfully and promote my beliefs. Blogging has helped me clarify and articulate my thoughts much better, which has translated into my real world interactions. Congrats on getting past shyness and becoming a public speaker! Welcome to my blog Lynn – and glad you liked this post. So many of us hold back for no reason and its wonderfully liberating when we find out voice and we are able to share it in the world. I wish you all the best with sharing your gifts with the world. Thanks Rivka for your kind words and welcome to my blog! I wish you all the best with your blog and your path.